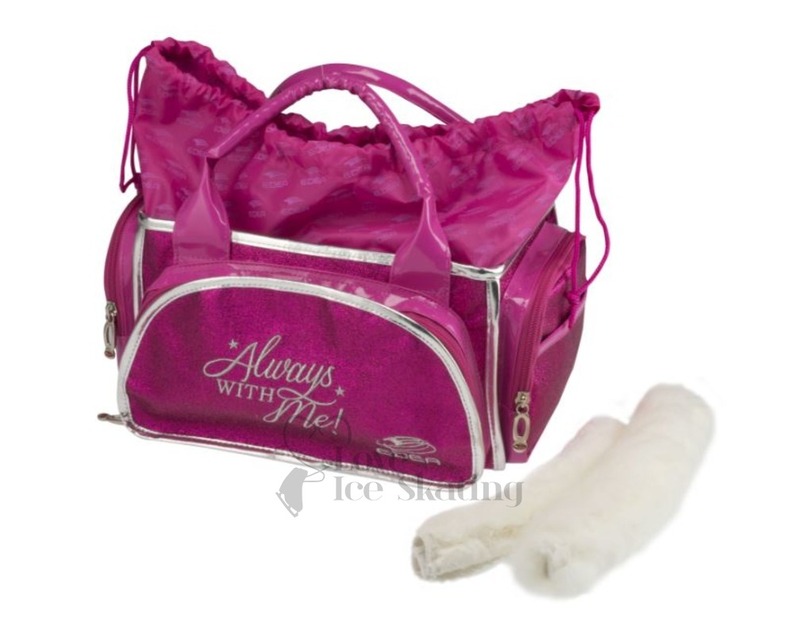 It provides easy access to all the things you need during practice by keeping everything wellorganized and in one place.The 9 pockets can be used for make up, phone, towel, drinks, keys, tablet, CD for music and your skate guards. 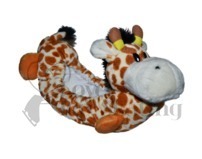 The large make up pocket can be fully unzipped for easy access. 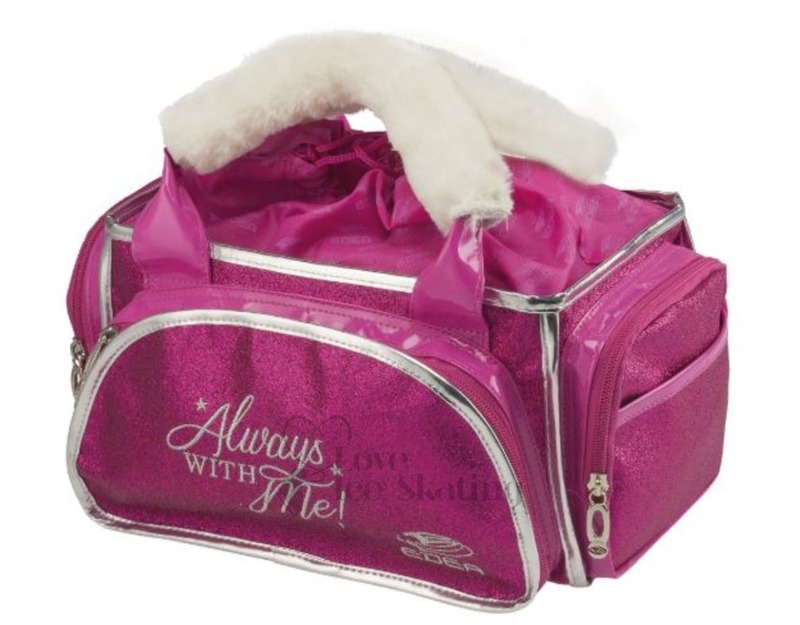 The net pocket helps keep things in place and the detachable mirror ensures your make up is perfect too! 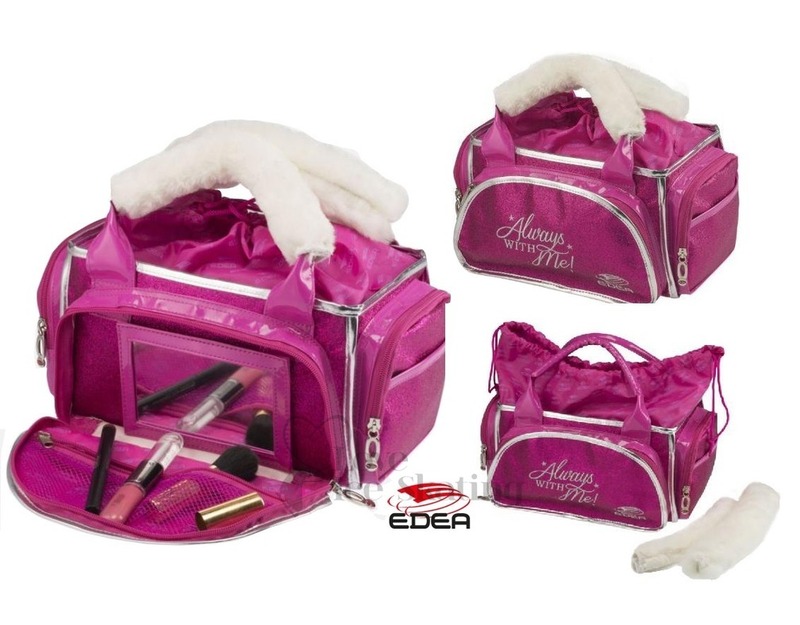 Edea bag has patent leather trim, removable faux-fur handles for comfort and a glittery finish for that final touch of glamour.